When you are out in nature, immersed in lush greenery, hiking, breathing in fresh air, that is when the curiosity is at play. One such question arose in my mind, while I was out for a long stroll. 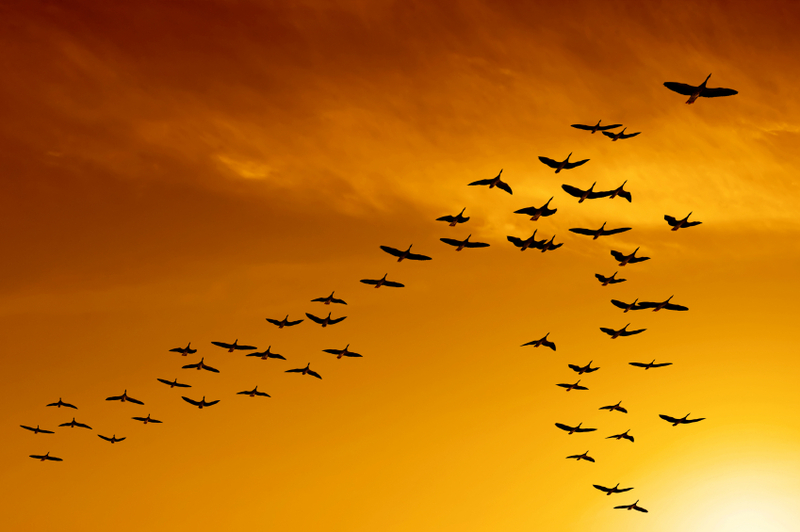 Why does a flock of birds swaying across the sky fly in a certain pattern? The birds always fly in a V-shape pattern and never randomly. There’s a premeditated reason for this. The birds are way too smarter than you would ever conceive. Not just that, but they position themselves in such a way that each bird is around a meter behind the first one and another meter at the side. They also coordinate with each other while flapping their wings. 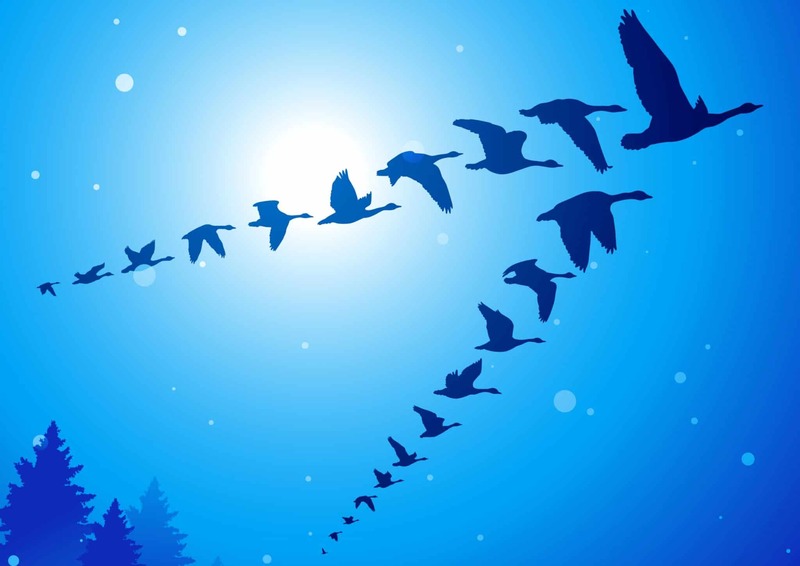 As the bird ahead flaps its wings, it causes an upward flow of air. When the bird behind flaps its wings in the same zone of movement, it gets a free lift. Also, they never have a constant leader, but they keep swapping positions. The one in the leading position takes a back seat and the one next to it comes forward. The birds are trying to conserve energy by doing so. As a result, they can tirelessly go long, as they migrate across continents. 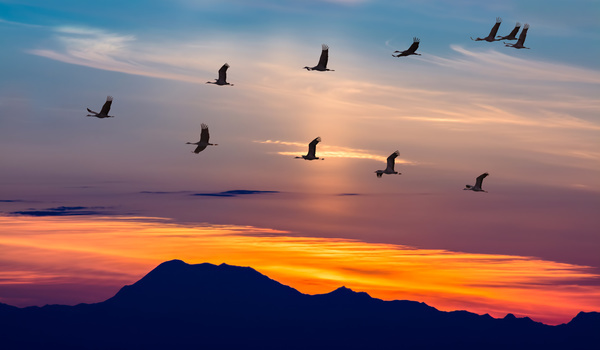 Migratory birds can fly non-stop for 6 months on an average. Imagine how much energy that must take! How do they get these skills? No one knows. Maybe there’s trial and error involved! Who knows. We can only assume that they probably watch the other birds and learn the best way to do it. It could be an inborn talent. Or maybe they just flew in the pattern sometime and realized it’s easier done this way. What is your take on it? Did you ever have any such revelations? Let us know by writing to us. Do You Know Why Laughing Buddha Has A Big Belly? Catching Up With The Legend Of The Dream Catchers! A Disorder Where Memory Can Be Lost And Found! 8 Literary Characters Every Millennial Can Relate To. Believe It Or Not, Game Of Thrones Is Inspired From The War Of The Roses!